If you haven’t yet submitted a public comment to the US State Department opposing TransCanada’s Keystone XL tar sands pipeline, please do so NOW. You can submit your comment here. These comments are especially important right now, because of numerous recent developments indicating that the State Department is not conducting a good-faith review of the Keystone XL Pipeline. In a stunning conflict of interest, the State Department hearings this week have been run by a company called Cardno ENTRIX, a contractor working for the Keystone XL pipeline developer TransCanada. What’s more, recently published documents revealing a shockingly cozy relationship between State Department officials and lobbyists for the Canadian pipeline company TransCanada. The State Department appears not to be taking seriously it’s solemn obligation to the people of this country to conduct an impartial evaluation of the impacts of this pipeline. But this decision is ultimately still up to the President. Submit a public comment now to send a strong message to President Obama and his State Department. 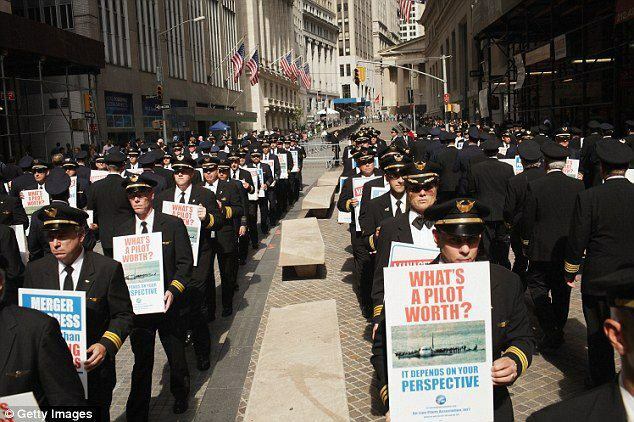 NRRT stands in solidarity with the multitude of enraged citizens from around the country who have converged on Wall Street to demonstrate their disgust with the financial and political elites who claim to be the ones who would solve the economic and ecological crises that they themselves created. This week, 117 people were arrested on Parliament Hill in Ottawa, Canada for crossing a police barricade and attempting to enter the House of Commons in protest of the proposed Keystone XL pipeline. In the largest act of environmental civil disobedience in decades, over 1,000 people have been arrested outside the White House, calling on the President and State Department to deny the federal permit for TransCanada’s proposed Keystone XL Pipeline, which would carry Tar Sands heavy crude oil 1,700 miles from northern Alberta to the US Gulf Coast via Montana and six other states. As climate scientists, landowners, indigenous leaders and others from around the country pledge to escalate a nationwide campaign to push President Obama to deny the permit for a new tar sands oil pipeline, Northern Rockies Rising Tide, the No Shipments Network, and much of the Missoula community stands in solidarity with those arrested in DC. On Friday evening, NRRT and No Shipments Network organizers, dressed in oil executive suits and carrying a mock-pipeline, marched in the streets through downtown Missoula, staging fake oil spills along Higgins Avenue during the height of First Friday festivities. In the wake of the Yellowstone River oil spill, Governor Schweitzer and President Obama have a choice. They can follow the same path that brought Billings-area residents to the emergency room and destroyed many farmers’ and ranchers’ livelihoods, or chart a new course – a clean energy future that puts Americans to work and saves lives. The Missoula protest is a solidarity action with an historic, ongoing, two-week act of civil disobedience at the White House in Washington, DC, where 1,252 citizens, from grandmothers to college students, have been arrested demanding that the Obama administration deny permits for the Keystone XL pipeline. The action comes as the US State Department considers whether or not to issue permits for the pipeline’s construction – a decision is likely to come by the end of the year. Bill McKibben, well-known author and one of the leaders of the Washignton, DC protests, calls the pipeline “a fuse to the biggest carbon bomb on the continent” – the Alberta Tar Sands. Indeed, with three times the carbon impact of conventional oil, and requiring four times as much water to extract, NASA scientist Jim Hansen, one of the world’s leading climate research scientists, says that facilitating further development of Tar Sands oil by building the Keystone XL pipeline means it is “essentially game over” for the planet.” What’s more, according to a study released this week, oil in the Keystone XL pipeline “would be bound for overseas markets rather than shoring up America’s domestic fuel supply,” and would in fact raise fuel prices for Americans. 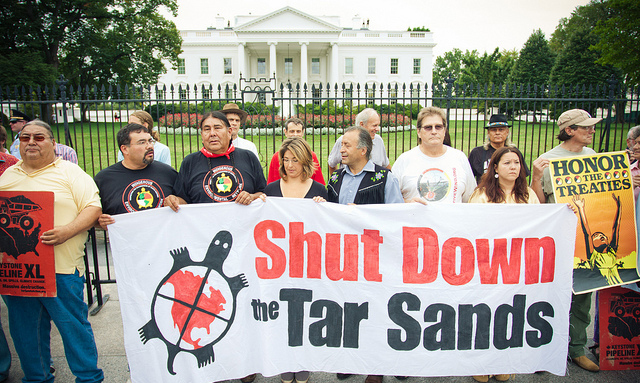 We stand in solidarity with those protesting at the White House in Washington, DC, and we will continue to fight all tar sands infrastructure projects, including ExxonMobil’s megaloads, until we shut the bastards down.